Get the full city centre experience at Blenheim Court, in the middle of town, just opposite Bristol Coach Station. You’ll be in the heart of the city, in prime position to enjoy Bristol’s buzzing social scene and city centre amenities. 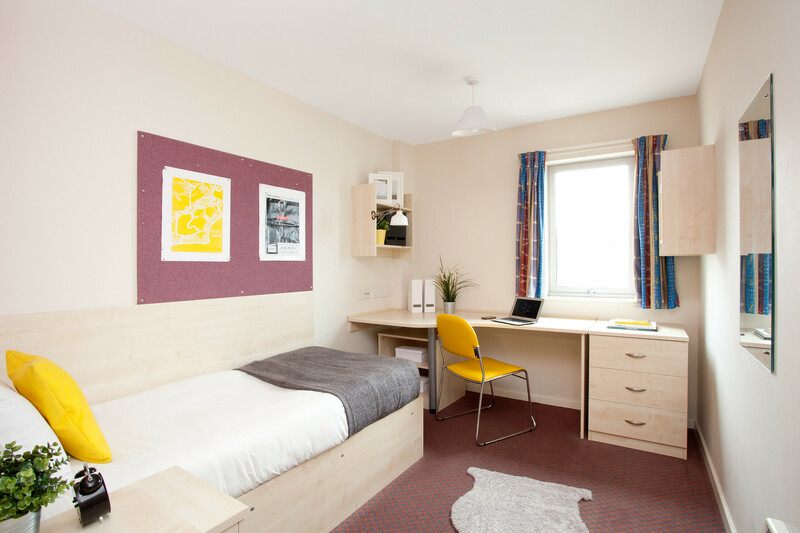 Managed by our partners Unite Students , these brightly-designed, well-equipped study rooms are open to you if you’re studying at City Campus or Frenchay Campus. Single bed size all with en-suite shower room, wardrobe, desk and desk chair, under bed storage and bedside cabinet. Fridge/freezers, microwave, oven and hob, sofa, breakfast bar and stools, iron and ironing board, vacuum , mop and bucket, dust pan and brush. CCTV, on-site support, 24/7 emergency contact centre, common room with pool table, TV and sofa, small study area and free MyUnite app to log maintenance requests. Who does what You apply to Blenheim Court through the University and we allocate the rooms. Unite Students then issues your tenancy agreement and manages the residence. Blenheim Court, Marlborough Street, BS1 3NW. If you'd like to make Blenheim Court your new home, find out how and when to apply. Received an offer of accommodation for Blenheim Court or want more info?